It is often said that golf can be an expensive hobby to follow. A full set of decent clubs and all the equipment and clothing that comes with it can run easily into thousands, and that is not even the most expensive golf equipment available. Add to that the costs of green fees, club membership, range costs, petrol for travel and even accommodation if it is a weekend golf jolly, and the cost soon starts to add up. For some, the financial considerations barely register (excuse the pun…). For the very wealthy, many of whom profess a love the game, cost is not even part of the equation. So, if you landed that Euromillion’s jackpot this coming weekend and had a bulging wallet that you needed to lighten by purchasing some of the most expensive and exclusive golf equipment you could afford, what would you pick? 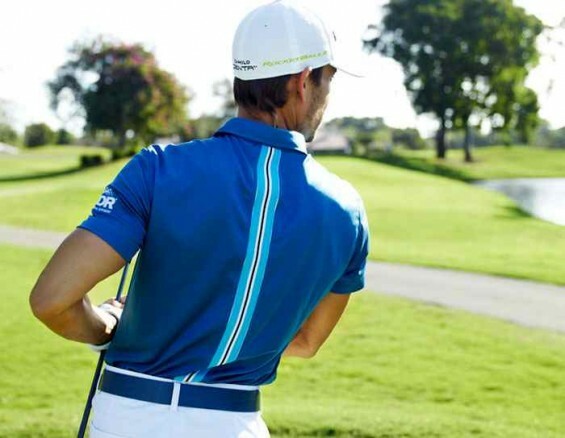 Here’s some of our suggestions to kit yourself with the most exclusive golf gear you can buy! Forget your Callaway, Titleists, Mizuno and Taylor Made, even their most expensive offerings pale into comparison compared to Japanese manufacturer HONMA’s Five Star custom fitted set. For $32,000 a set, you would expect something special and that is precisely what you receive. Each club in the 14-piece set is constructed out of platinum and gold and they are played by the likes of Donald Trump and Jack Nicholson. Of course, you could always embellish the set by purchasing an individual club or two to ramp up that price considerably. 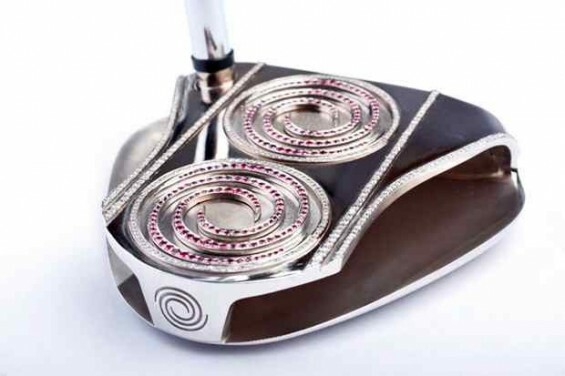 For example, if you want a putter that will really catch the eye, then the Odyssey diamond-encrusted putter is worth considering. The head is made of 18-carat white gold and is decorated with 200 rubies and 378 diamonds and will set you back just $161,000. Or if you are Rory McIlroy or Luke Donald; a morning’s work. Alternatively, if you prefer a classical feel and a genuine golf antique, then the Long-Nose Putter stamped “A.D.” was sold by Sotheby’s in New York in 2007 for $181,000. The seller though was a bit disappointed as they reckoned it should have reached between $200,000 and $300,000. If you think your new Nike 20XI or Titleist ProV1’s are the top of the tree when it comes to expensive golf balls then think again. 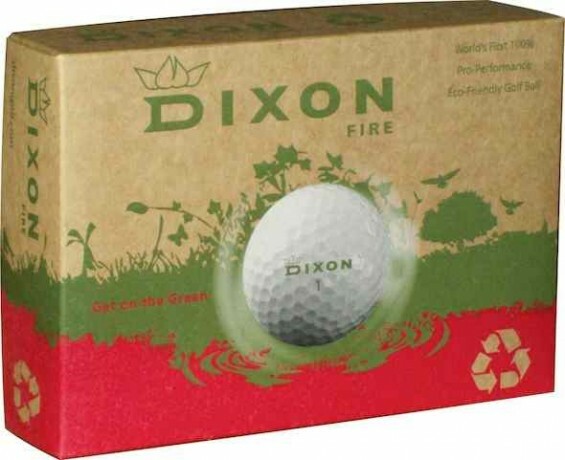 When you are on the golf course and have money to burn it is the somewhat inglorious Dixon Fire eco-golfball which earns the honour as the most expensive. Setting you back a cool $74.95 for 12 balls, (over $6 a ball) most hackers would be desperate not to lose them. Forget the Gucci polo-necks and Pringle sweaters, if you are looking to make a splash on the golf course then J.Lindeberg’s funky shirts are the ideal apparel at $125 – $165 a shirt. Add some trousers fitted by the finest tailors from Saville row, or hand crafted from silk by the finest craftsmen and you’ll look cool, comfortable and stylish (of sorts) out on the course. Admittedly, as a billionnaire you will not be doing an awful lot of walking on the course when you have a perfectly good golf cart to handle the majority of the workload between holes, but when you do step out onto the course or green, you want to look your best and in terms of footwear, nothing beats John Lobb. Personally made for the individual and available in a wide range of materials, ranging from exquisite box-calf, to crocodile or even elephant skin, these shoes are made to measure to the exacting tastes of the client. It takes six months for the finished product, but the end result is a shoe nobody else in the world owns. Of course, being super rich you would not do anything so mundane as walk on a golf course, carting your clubs around by a trolley, or even hiring a caddy to do the task for you. 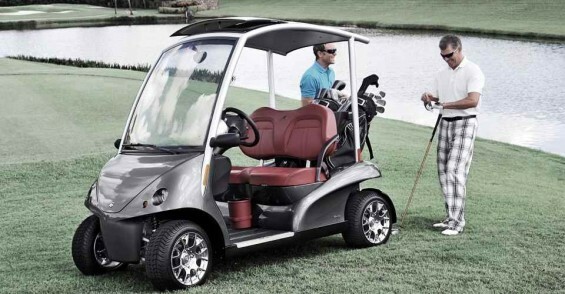 Why would you when for just £40,000 ($61,980) you can travel the golf course, not to mention the local roads, in style in your own luxury Garia golf cart. The Garia LSV is made by the same company that builds the Porsche Boxster and Cayman and they have designed the Garia LSV to be street-legal. It comes with plenty of safety equipment, hydraulic brakes, seatbelts and wing mirrors, as well as a 4hp electric motor that is capable of reaching 25mph. The final touches of class include 10-inch aluminium wheels, digital instrumentation on the dashboard, hand-stitched leather seats and of course, a refrigerator for your drinks. Finish off your look with the Bushnell Pinseeker 1500 rangefinder, making the need to guess yardages obsolete by harnessing the power of the worlds most powerful rangefinder. A snip at just $644. Shades are all important at the Romeo 2 Sunglasses by Oakley not only look stylish but manages to block 100% of UVA, UVB and UVC light and they are endorsed on the professional tour by Rocco Mediate, and at $375, they are a bargain. No billionnaire is complete with a few golf apps on their iPhone, but no ordinary iPhone will do so why not get Stuart Hughes to design you a bespoke one. His last design, the iPhone 3GS Supreme Rose cost one Australian businessman around $3.5 million, completed as it was in 18-carat rose gold and hundreds of diamonds. Love that golf cart, looks so comfortable and stylish. I’ve never actually heard of those golf balls, be interested to know what makes them so expensive compared to the Titleist Pro V1’s.